WATER MIST is the ultimate extinguisher for Class A fires and where a potential Class C (electrical) hazard exists. The fine spray from the unique misting nozzle provides safety from electrical shock, greatly enhances the cooling and soaking characteristics of the agent and reduces scattering of burning materials. The Amerex Water Mist extinguishers contain de-ionized water (sold separately) making them the best extinguishers for protection of hospital environments, valuable books and documents, telecommunication facilities and “clean room” manufacturing facilities. 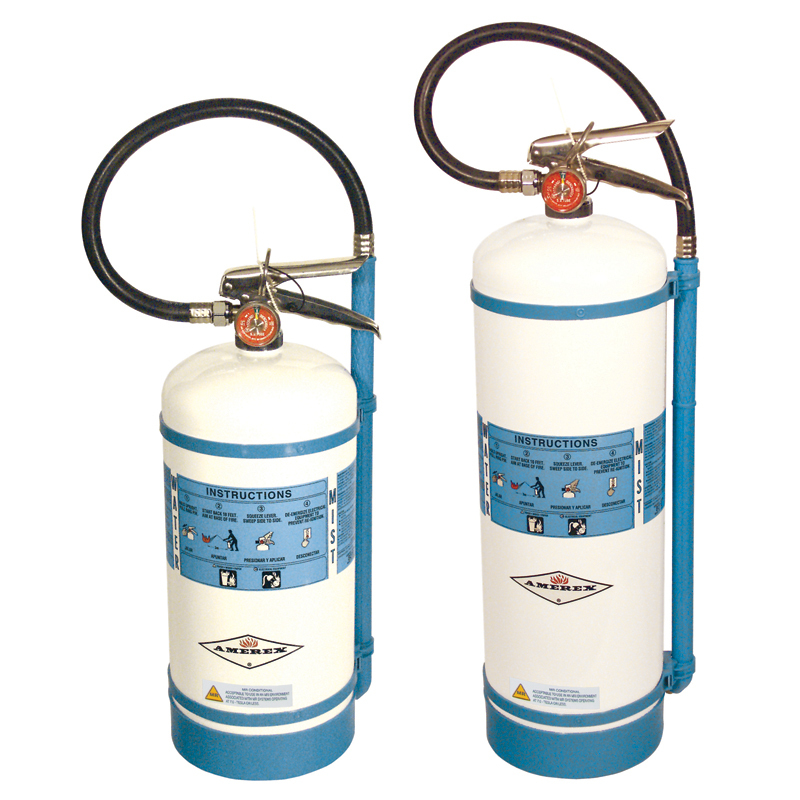 The Amerex WaterMist extinguishers are easy to use, maintain, and service.